Anionic Polymerization: Principles and Practice describes the unique nature of the anionic mechanism of polymerization. This book is composed of two parts encompassing 11 chapters that cover the aspects of the synthetic possibilities inherent in this system. Part I deals with the various aspects of anionic polymerization mechanism, including the monomers, initiators, solvents, and the involved initiation and propagation reactions. This part also describes the copolymerization and organolithium polymerization reactions of styrene and dienes. Part II explores the applications of anionic polymerization in polymer synthesis. This part specifically tackles the synthesis of narrow molecular weight, branched and α,ω-difunctional polymers, and block copolymers. 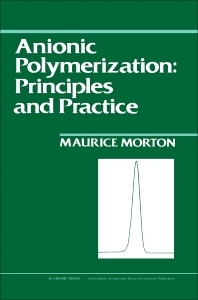 Polymer chemists and researchers who work in the chemical industry and who would wish to utilize the unique features of anionic polymerization in the synthesis of new products will find this book invaluable.